The CEFI team comprises a group of highly experienced and dedicated financial experts who are passionate about the growth of financial inclusion in Papua New Guinea. CEFI also reports to a Board of Directors, which includes an elite field of key stakeholders representing government, industry and the Bank of Papua New Guinea. 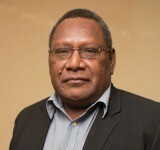 Loi Martin Bakani CMG has been Governor and Chairman of the Bank of Papua New Guinea Board since 2009. 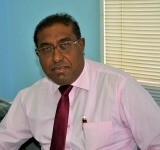 He is Registrar of the PNG Federation of Savings & Loan Society Ltd, Chairman of the PNG Institute of Banking & Business Management (IBBM) and holds senior governance roles with South East Asian Central Banks (SEACEN), IMF/World Bank Group, AML/CFT Coordination Committee and the Sovereign Wealth Fund (SWF) Committee. He also serves as member of the Appointments Committee of the NICTA and ICCC. Loi holds a Bachelor of Economics from the University of Papua New Guinea and a Master of Commerce from the University of Wollongong, Australia. Saliya J Ranasinghe has more than 25 years’ experience in the microfinance industry, including roles as Finance Manager at Ceylon Oxygen and Chief Executive Officer of SEEDS Sri Lanka. Since 2002, he has been a consultant and Chief Technical Advisor for inclusive finance/microfinance projects with renowned organisations such as the Asian Development Bank, World Bank, IFC and UN Capital Development Fund in countries across Asia, Africa and the Pacific. Saliya has also conducted postgraduate studies with England’s Canfield School of Technology and has an MBA from the University of Lincoln, England. He is a Fellow Member of the Institute of Chartered Management Accountants UK and Fellow Member of the Society of Cost Management Accounts Sri Lanka. 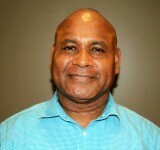 Paulus Laveil is currently Managing Director and Board Secretary of the PNG Federation of Savings and Loans Society Ltd. He has more than 15 years’ experience with the PNG National Development Bank as an Executive Manager for Lending, Policy and Corporate Services. He is a member of the Microfinance Expansion Project Steering Committee and is on the CEFI Board representing the Savings and Loans Societies in PNG. He holds an MBA from the University of New England, Australia. Anna Solomon has more than 23 years’ experience with the Public Service. 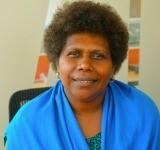 Currently the Secretary for the Department for Community Development and Religion, Anna has and continues to support in addressing and advocating financial Inclusion among all Papua New Guineans especially the marginalized and disadvantaged groupings from the Informal Economy that comprise bulk of the population through her department’s Informal Economy Policy via Projects and Programs. She is currently the chairperson of the Informal Economy Sectoral Committee under CIMC. Anna is a member to most professional women associations addressing financial and economic empowerment for women and persons with disabilities. Sweta Sud has more than 20 years of innovation and management experience in the areas of education, enterprise resource planning, strategic project planning and stakeholder management. 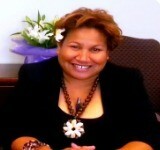 She is currently Executive Director of the PNG Institute of Banking and Business, and represents financial training institutions on the CEFI Board. Sweta has also been on the Board of the Small Business Development Corporation and has held positions at the Business Coalition for Women, the PNG India Business Council and the PNG Government’s Small to Medium Enterprise Policy and Master Plan. 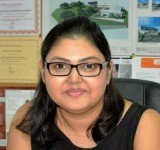 She is also a Faculty for the MBA program at Torrens University, Australia. Sweta holds a Bachelor of Engineering and postgraduate degrees in Business Administration, Project Management and Information Systems. Roddie Wada has more than 15 years’ experience in the public sector, mostly with the PNG Department of Treasury in the area of micro-economic policy. Currently the First Assistant Secretary of the Markets Policy Division, she deals with consumer and competition policy, private sector development and other micro/structural reform initiatives. Roddie is on the CEFI Board representing the Department of Treasury, and has also represented the Department on the Boards of CIC, Post PNG, Air Niugini and the Nationwide Microbank. She holds a Masters in Applied Commerce from Melbourne University, Australia. 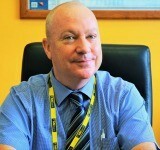 Tony Westaway has more than 20 years’ experience in the Papua New Guinean banking industry and is the current Managing Director of Nationwide Microbank Limited. He is also the Chairman of Microfinance Pasifika Network, a Director and Honorary Fellow of the PNG Institute of Banking & Business Management, and a Fellow of the Financial Services Institute of Australasia. A strong advocate of financial inclusion, Tony initiated the first bank-led deployment of Mobile Money in the South Pacific with MiCash in 2011. He holds an MBA from Torrens University, South Australia.